Since granting its first Doctor of Medicine degrees in 1975, Alpert Medical School has become a national leader in medical education and biomedical research. By attracting first-class physicians and researchers to Rhode Island over the past three decades, the Medical School and its seven affiliated teaching hospitals have radically improved the state's health care environment, from health care policy to patient care. Students are admitted to the School through a variety of pathways. The Medical School awards approximately 100 MD degrees each year. The Medical School is a component of Brown's Division of Biology and Medicine, which also includes the Program in Biology and the Public Health Program. Together with Brown's seven affiliated teaching hospitals, the collective research enterprise in the life and health sciences attracts $213 million in sponsored research funding per year. Learn more about what it's like to study medicine and more at Alpert Medical School. The pursuit of health to benefit society. This mission statement, adopted by the students, faculty and staff of Alpert Medical School in 2011, was inspired by that of the first known English speaking academic department of medicine (Aberdeen, Scotland, 1497). Learn more about the mission, vision, and values of the Division of Biology and Medicine. The history of medicine in Rhode Island and the history of the Warren Alpert Medical School of Brown University have been deeply interconnected for two centuries. They have never been more closely aligned than they are today, when the medical school is the heart of a major academic medical center embracing seven hospital affiliates in a network of connections and collaborations that extends throughout Rhode Island and beyond. In 1811 Brown became the third university in the nation to offer academic medical education. In its brief 16-year history, this early program attracted some illustrious teaching physicians who went on to play roles on the national scene, participating in the founding of the American Medical Association and helping set the first national standards for medical education. Locally, they helped found and lead the Rhode Island Medical Society and worked with their colleagues to make Rhode Island Hospital a reality, a goal they achieved after decades of persistent advocacy. The most renowned of them, Dr. Usher Parsons, became Rhode Island Hospital's first president. Public calls for reviving medical education at Brown began immediately after the school was closed in 1827, and they recurred over 136 years. 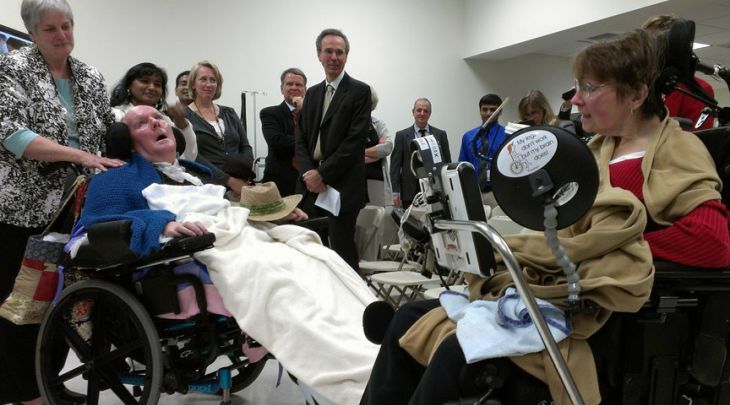 The appeals came from ordinary Rhode Islanders, from physicians, from hospitals, and from political leaders, all of whom recognized the benefits a medical school would bring to the state - in the caliber and scope of health care, in the number and expertise of physicians, in the growth of hospital programs and technologies, and in the local economy. In 1963, the calls were answered; the first steps were taken to remove Rhode Island from the small roster of states without a medical school. Momentum was provided by funding from the state and federal governments and from private foundations, as well as from the University. Dr. Pierre Galletti, the University's first dean of biology and medicine, Dr. Milton Hamolsky, chief of medicine at Rhode Island Hospital, and Professor of Biology J. Walter Wilson were among the prime movers in the creation of the Master of Medical Science program. Although initially a continuum of four years of undergraduate study and just two of graduate study in basic science, the program sparked immediate growth in the Brown faculty and in the staffs of collaborating hospitals, as joint appointments and new training programs were created. By 1969, when the first Master of Medical Science class graduated, the program was already changing the landscape of medicine in the state: accelerating the delivery of new techniques and technologies to the patient bedside, attracting more and better-qualified residents to Rhode Island's hospitals, encouraging more young doctors to practice in the state, and stimulating more Rhode Island students (who had been the most poorly represented in the nation in medical schools) to study medicine. The hospitals and the community needed more, and soon a four-year medical program developed under the leadership of Dr. Stanley Aronson, founding dean of medicine, Dr. David Greer, associate and later second dean, and a cohort of medical students and faculty committed to a novel re-imagining of medical education. Together, they designed a program to prepare physicians committed to excellence in patient care and guided by humanistic values - the foundation on which today's Alpert Medical School is built. The full medical degree program was launched in 1972, bringing with it clinical clerkships at seven affiliated hospitals and an infusion of new specialists, new laboratories, new research programs, and new clinical services. In the 35 years since the first M.D. class graduated in 1975, Brown's medical school has expanded its faculty and programs and class size; residencies and specialties and technologies have proliferated; partnerships have evolved and deepened; and research initiatives have burgeoned. Today, Brown's Division of Biology and Medicine - compsed of Alpert Medical School, the Program in Biology, and the Public Health Program - is home to numerous centers of excellence in biomedical research and clinical care. In 2010, research conducted by faculty in the division and the clinical departments of the medical school attracted $300 million in external funding. A world-class campus-based and hospital-based faculty, totaling almost 1000 members, teaches in five basic science departments and fourteen clinical departments. They staff 25 residency programs in partner hospitals, among which Rhode Island Hospital, the school's first clinical site, is the principal teaching affiliate. Training opportunities are amplified by a large network of Rhode Island physicians who serve as voluntary clinical faculty. 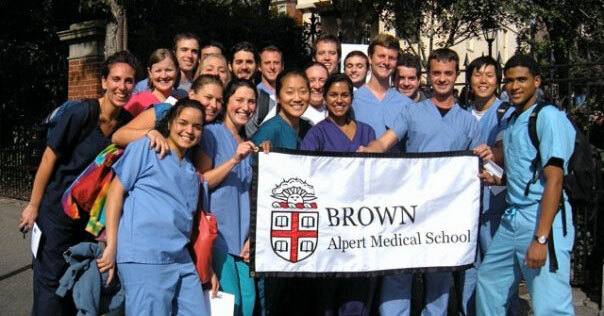 Alpert Medical School attracts a highly diverse body of students from throughout the United States and abroad through two major routes: the Program in Liberal Medical Education, an eight-year continuum of undergraduate and medical studies; and the standard route of admission, open to applicants from outside the Brown community. Alpert students are among the best prepared and most talented in the nation. They collaborate with faculty in an educational experience that is grounded in an innovative competency-based curriculum, enriched by a vigorous research enterprise, and shaped by the commitment to humanistic medicine that has been the school's hallmark for four decades. 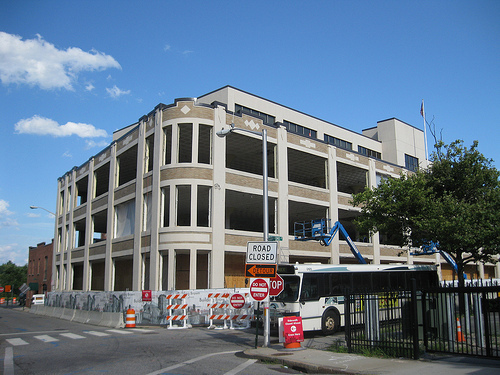 The new home of Alpert Medical School, the first building in its history dedicated to housing the core facilities for academic medicine under one roof, opened its doors in August 2011. Among its immediate effects was the prospect of admitting more medical students - increasing class size by 20 percent, to 120 - and introducing new academic programs. The Medical Education Building represents a leap forward in Rhode Island's growth as a major center for biotechnology and medicine, a development that Brown's research enterprise has helped generate. It also signals a period of accelerated growth in the history of a medical school begun by pioneers and innovators and stimulated by the needs and wishes of its community. Alpert Medical School has evolved, in the words of Dean of Medicine and Biological Sciences Edward J. Wing, "into one of the best medical schools in the country, with an empowering culture, a vigorous and growing research community, and outstanding clinical care." Its principal mission - to train excellent physicians equipped to improve the health of individuals and communities - is inseparable from its commitment to create an academic medical enterprise of the first rank in Rhode Island. We start by focusing on the end product: the successful MD graduate. That is why our innovative curriculum has been thoughtfully designed to impart all the skills, knowledge, attitudes, and abilities students need to become competent physicians and scientists, while giving students meaningful feedback every step of the way. Our goal is to train physicians who will provide informed and compassionate care while at the same time serving as leaders and change agents for the health care system. To achieve the latter goal, we aim to train physicians who will be leaders at all levels. During Years 1 and 2 , students enroll in four sequential semesters of Integrated Medical Sciences and Doctoring. The elective Scholarly Concentrations Program is introduced to students during Year 1. Year 3 allows students to explore core disciplines and related specialties through the completion of required clerkships in medicine, surgery, pediatrics, obstetrics &amp; gynecology, psychiatry, family medicine, and community health. 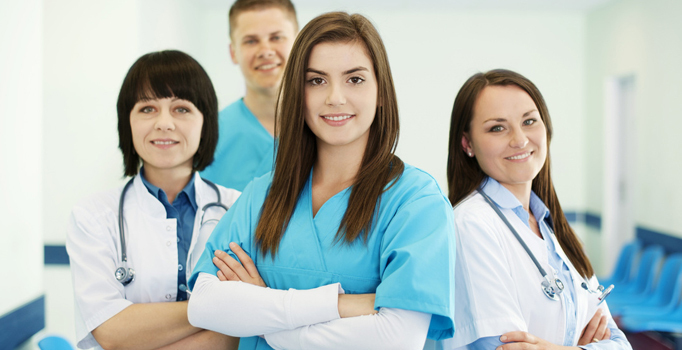 The transition from the third year to the fourth year takes place in May, after which time students have the opportunity to develop a program of elective rotations aimed at finalizing a career choice, and obtaining and preparing for a residency in their chosen field.